Eight months after the Petaluma City Council began to shape its policy on recreational cannabis, the city appears poised to soon open its doors for some marijuana-related businesses. The council Monday voted 5-1 to approve an ordinance mapping out areas in the city’s business parks and industrial zones where cannabis businesses will be allowed, the final piece that needed to fall into place before work begins to finalize processes and issue a request for proposals for delivery businesses. If the second reading of the ordinance goes ahead at the council’s March 19 meeting, the rules would take effect April 19 and permits could theoretically be issued as soon as that date, Economic Development Manager Ingrid Alverde said. In November, a year after the passage of Prop. 64, which legalized the adult use of recreational cannabis in California, the city council approved an ordinance allowing two delivery services and an unlimited number of businesses that manufacture edible and topical cannabis products and test quality. It maintained a decade-old ban on brick and mortar dispensaries, though three council members appeared to be in favor of a more lax approach that included retail outlets. The following month, the council approved a set of regulations governing cannabis ventures and established a $3,500 initial permit fee for such businesses. Permits could not be issued until the city’s zoning ordinance was updated to allow for cannabis businesses. “We’re getting the request for proposals ready for the delivery-only dispensaries, so hopefully those are the main pieces of the package. Once the zoning takes effect, the regulations are done and those are the prerequisites of the ordinance before anyone can get permits, so it should be ready to go,” City Attorney Eric Danly said. Under the new zoning, cannabis businesses would be allowed in 104 spaces in six business parks, most of which are located on the east side, according to a city map. Businesses must be 600 feet from schools or childcare centers, at least 200 feet from parks, youth centers and libraries and 100 feet from residential districts, according to a city staff report. It’s not clear how many of those spaces are currently vacant, or how many total cannabis businesses might be able to move in to buildings there, Alverde said. Petaluma’s overall industrial vacancy rate was 5.6 percent in the end of 2016, when 24 buildings advertised vacancies in the city, according to a 2017 analysis by real estate firm Keegan and Coppin. Overall retail vacancy rates in the city were about five percent in 2016, according to the county’s economic development board. Businesses interested in infiltrating Petaluma’s nascent market will need to apply, pay a $3,500 permit fee, a fee for a background check and obtain a state cannabis license, Alverde said. 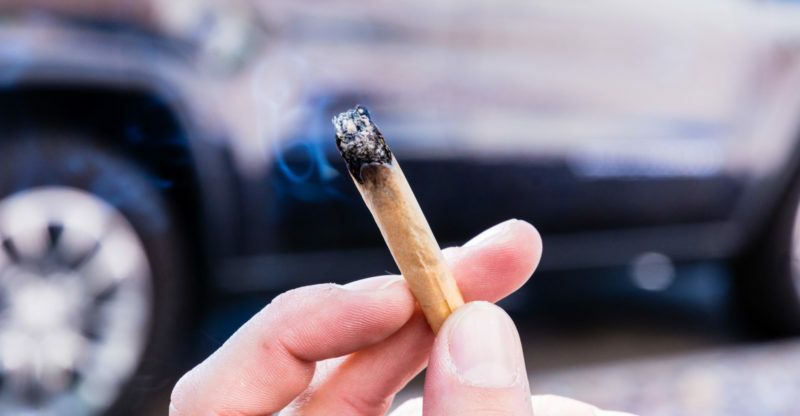 The state is currently issuing temporary licenses good for 120 days with proof of a permit or license from the corresponding local jurisdiction, according to the California Bureau of Cannabis Control. Operators will need to pay any other applicable fees, which could include health department permits for food manufacturing or building or planning department permits for changes to facilities, she said. The city’s cannabis business permits must be renewed on an annual basis, with a $2,500 fee, according to the regulations. Those fees will be used to cover the city’s costs for processing the applications and enforcing regulations. Cannabis businesses can operate between 8 a.m. and 8 p.m. with security cameras, alarm systems and other safety measures in place. Staff can revoke permits or deny their renewal if those regulations aren’t met. Employees must be at least 21 years old, and will be subjected to state and local background checks. The city will also have the ability to inspect businesses and audit their books. About 20 businesses have approached Alverde about cannabis ventures in the city since the beginning of the year, the official start date of the recreational industry as outlined in Prop. 64, she said. Most of those inquiries were related to delivery services, she said. The two delivery service businesses will be chosen through a request for proposals process, which will likely seek information about related experience, business plans, day-to-day operations, costs and finance issues such as cash management in an industry that’s precluded from using legal banking channels. Work to finalize that is underway, and it could be available online in days or weeks, Alverde told the council. Those proposals could be vetted by a panel while applications for testing and manufacturing will be reviewed and approved by staff, Alverde said. 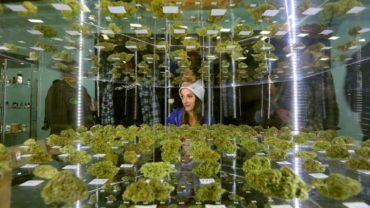 The total impact of cannabis on Petaluma’s market isn’t yet clear, Alverde said. Councilman Dave King, part of the minority that advocated for allowing retail outlets in the city, said he’s glad to see a step forward though he would have liked to see a business licenses issued for longer than a year, and dispensaries in the mix. The council has expressed an interest in reviewing the regulations in a year, a date that will fall after November’s election when three council members’ seats and the mayoral chair will be up for election. A change in the council’s makeup could move the needle on cannabis policy.